The Women’s World Cup countdown has begun in earnest. Wednesday marked 100 days until the kickoff of the game’s biggest tournament, opening on June 7 in Paris. The 24-team event will be played at nine stadiums in France over the course of a month, with the final set for July 7 in Lyon. There are a few lingering controversies hanging over the event, including prize money. Last October, the FIFA Council raised the prize money from $15 million in 2015 to $30 million in France. By contrast, the prize pool for the men’s World Cup in Russia last year was $400 million. While the men’s World Cup generates far more revenue, critics say FIFA should back up its pledges to grow the women’s game with investment and incentives — like a sweeter prize pool. Another issue is timing. 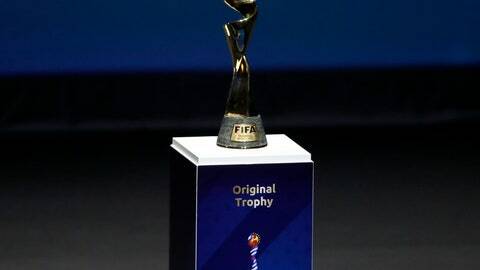 FIFA has been criticized for scheduling the Women’s World Cup final on the same day as the men’s Copa America final and the CONCACAF Gold Cup final. VIDEO WATCH: The next Women’s World Cup milestone for FIFA is confirming the use of video review. The prospect of VAR in France looked in doubt as FIFA prevaricated when asked if women’s players would benefit from the same technology that debuted at the men’s World Cup in Russia last year. But FIFA confirmed its Women’s World Cup referees were training with VAR earlier this month. The FIFA Council has to ratify the use of VAR at a meeting in Miami next month. LAST-MINUTE CHANGES: Australia shocked many with January’s dismissal of coach Alen Stajcic, who had been coach of the Matildas since 2014 and still had nine months left on his contract. The move was somewhat of a surprise because Ndoko had guided the team to a third-place finish at the Women’ Africa Cup of Nations late last year, qualifying Cameroon for the World Cup. TUNING UP: The 100-day mark also means teams are going all-in on preparation for the event. The United States is hosting the SheBelieves Cup with Japan, England and Brazil — all World Cup-bound teams. There’s also the annual Algarve Cup in Portugal, which starts Thursday and features Canada, Sweden, Spain and several other teams. But there’s far more urgency for teams that normally don’t have many regular exhibition games. Chile and Jamaica, who will each make their World Cup debut in France, will play a pair of matches in Jamaica, with the first on Thursday in Kingston. “Chile have played Brazil and Italy recently, therefore we’ll get an opportunity to measure where we are as a team,” Jamaica coach Hue Menzies told reporters last week. The Reggae Girls, ranked No. 53 in the world, are also expected to play a friendly against Panama as the team prepares for the World Cup. “I mean, yes, it’s exciting to start a countdown like that (the 100 days) and it kind of builds the excitement around the whole event. But for me it’s kind of staying focused in the moment,” Naeher said. HEGERBERG OUT: Norway coach Martin Sjogren told the BBC that there is no chance that Ballon d’Or winner Ada Hegerberg will play in the World Cup. Hegerberg, who stepped away from the national team, has taken a stand against what she said was a lack of respect for female players in Norway. Sjogren said discussions were held, but ultimately Hegerberg decided not to play.